In medium-sized sauce pot, add 1/4 cup water and cranberries. Bring to simmer, stirring occasionally and more frequently as the sauce begins to form. 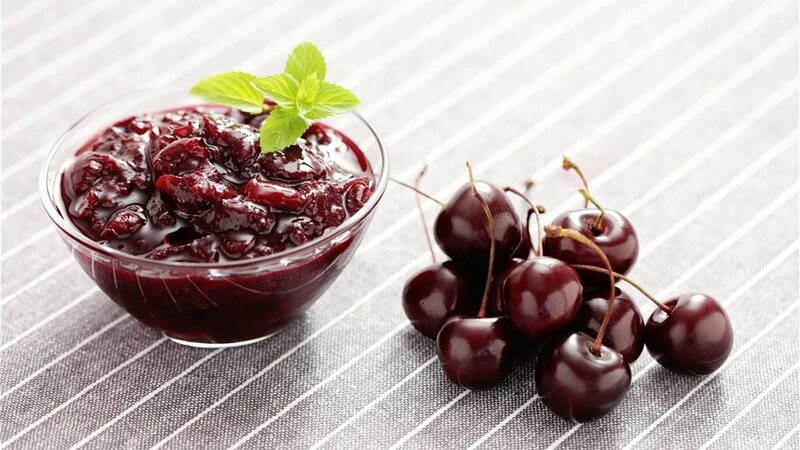 Add sweet cherries, continue stirring. Once reduced, remove from heat, incorporate other flavorings if desired. Cool for 30 mins – 1 hour before transferring to wider, shallow pan to speed cooling. Once cooled, refrigerate in air-tight container for up to 2 weeks.